You can get the full "Mastering Photoshop Elements" bundle of courses for one low price, helping ensure you'll be able to make the most of Photoshop Elements for managing, optimizing, and sharing your photos. 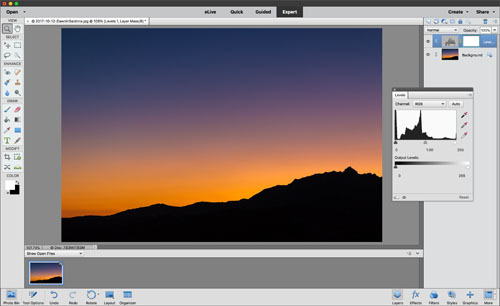 Adobe Photoshop Elements provides photographers with a complete workflow solution for managing, optimizing, and sharing their photos. This bundle of video training courses will help you truly master the use of Photoshop Elements in your own workflow. Special Bonus! Get Tim's "Creative Blurs" photography course at no additional charge when you buy this bundle! For more than 20 years Tim has been helping photographers optimize their photography and workflow. He has authored eighteen books and hundreds of magazine articles that have been published in Digital Photo Pro, Outdoor Photographer, and other publications. He is sought out to present at some of the biggest photography events and leads workshops worldwide. In short, he knows his stuff! Perhaps even better, Tim is highly regarded as a top educator, providing clear guidance on subjects that can sometimes be a bit complex. The "Mastering Photoshop Elements" bundle of video training courses will help you learn to truly understand and use Photoshop Elements for all aspects of your workflow.